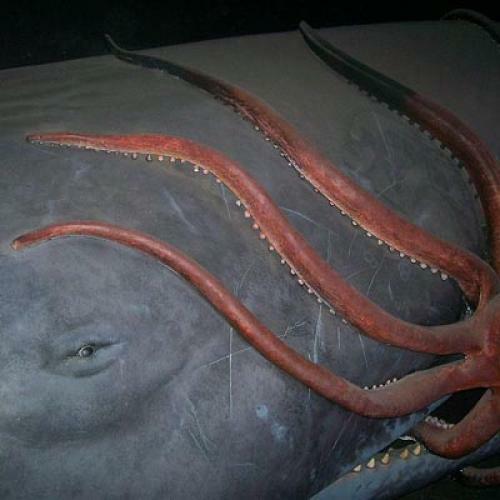 As soon as we learned that the trader largely responsible for JP Morgan’s $2 billion-and-counting loss had been nicknamed “the London Whale,” it was pretty much inevitable that we’d find a squid on the other side of the trade. And whaddya know. It turns out there was a squid involved! Better yet, it wasn’t just any squid, but a great vampire squid—the kind that wraps itself around the face of humanity and jams its blood funnel into... well, you know the rest. A group of about a dozen banks, including Goldman Sachs Group Inc. and Bank of America Corp., have scored profits that collectively could total $500 million to $1 billion on trades that sometimes pit them directly against J.P. Morgan’s Chief Investment Office, according to traders and people close to the matter. My only question is how on earth did the Journal miss the obvious headline?